Lean Manufacturing Training provides learners with a comprehensive understanding of how Lean Manufacturing works in a manufacturing company. Lean concepts (why lean, lean terminology, identifying wastes, Value Stream Mapping methods and the linkage between lean and Six Sigma) and lean practices (streamlining the value stream, workplace organization, ensuring predictability and consistency, set-up reduction, TPM, the visual workplace and continuous improvement) are covered. Lean Manufacturing Training provides the learner with lean implementation suggestions including approaches for addressing people issues, collecting and analyzing data to plan and track lean efforts, process workflow and layouts options with rationale and a sequential roadmap. Understand the terms, terminology, and benefits of Lean Manufacturing. Conduct value stream maps of the current state, identify the potentials for reduced waste and improved flow, and develop a future state map. Participate in the development of a site-specific lean implementation roadmap. Avoid the common pitfalls encountered during lean implementation. Understanding and application of the principles of the 5S’s such as Introduction to the 5S’s or equivalent. Lean for Job Shops – Online training in how to apply lean manufacturing techniques in short-run, job shop environments. Overview of the 8 Components of Lean: Value Stream Mapping, Workplace Organization, Predictability and Consistency, Set-up Reduction, TPM, Visual Factory, Support Processes, and Continuous Improvement. Eliminating waste is not limited to manufacturing; the same techniques apply to the office, sales, finance, maintenance, and even RandD processes and procedures. Lean and Six Sigma are complementary. Conduct GRandRs to ensure reliable measurement systems are in place. Understand the reasons for implementing lean. Learn the terms, tools, and techniques used in lean. Identify the types of waste that can be eliminated with lean. Describe the components and elements of a lean effort. Explain value stream mapping, techniques for analyzing the current state map and for envisioning the future state of the workflow. Describe why and how lean can apply to finance, maintenance, sales and R&D processes. Compare and contract the linkages and differences between lean and six sigma initiatives. Streamlining the Value Stream: Learn how to use value stream maps to create macro-facility workflows and micro-process workflows. Workplace Organization: Understand how the 5S’s establish a structured approach for storing materials, supplies, and equipment in work areas. 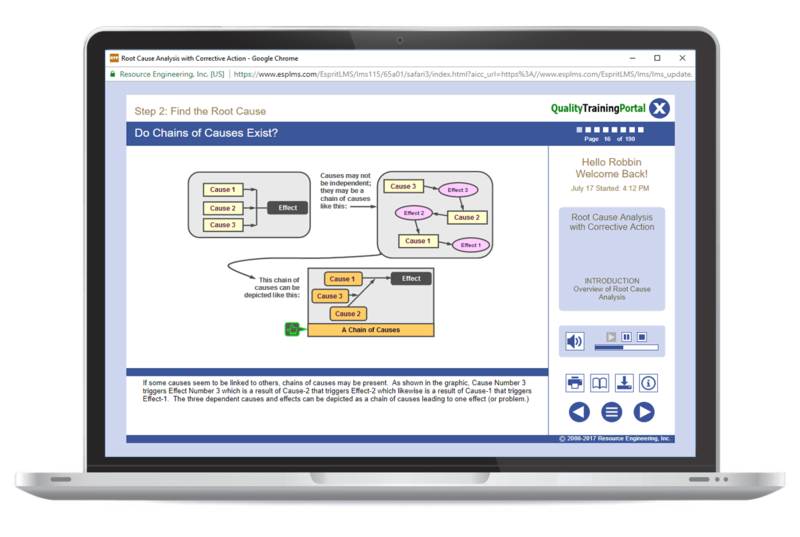 Predictability & Consistency: Discover how quality improvement techniques such as GR&Rs, SPC, DOE, DFA/DFM, and (especially) mistake-proofing help prevent problems and lead to robust processes. Set-Up Reduction: Investigate how to slash set-up and change-over times and understand how important fast set-ups are to lean efforts. TPM: Learn how to improve equipment reliability by applying TPM methods. Visual Workplace: See how visual controls and visual displays reinforce and enhances a lean effort. Support Processes: Recognize how important lean scheduling, lean purchasing, lean accounting, and lean warehousing practices are to supporting and sustaining a lean manufacturing effort. Continuous Improvement: Explore the options for keeping a lean effort viable and vital. Understand how important it is to address people issues as cross-training and flexible staffing practices are introduced. Review the types and forms of data needed to support lean implementation. Explore forms used to help plan and track lean efforts. Investigate layout options and methods to determine the best option for your workflow and facility. Learn how a lean warehouse complements lean manufacturing. Review a systematic roadmap for introducing and implementing lean. Explore 12 common lean pitfalls and learn how to avoid them. Workplace Organization: Understand how the 5S's establish a structured approach for storing materials, supplies, and equipment in work areas.